Who doesn’t love a gift basket during the holidays? Creating Christmas gift baskets is not only easy with Nashville Wraps products, but fun. There are so many options to let your creativity shine. 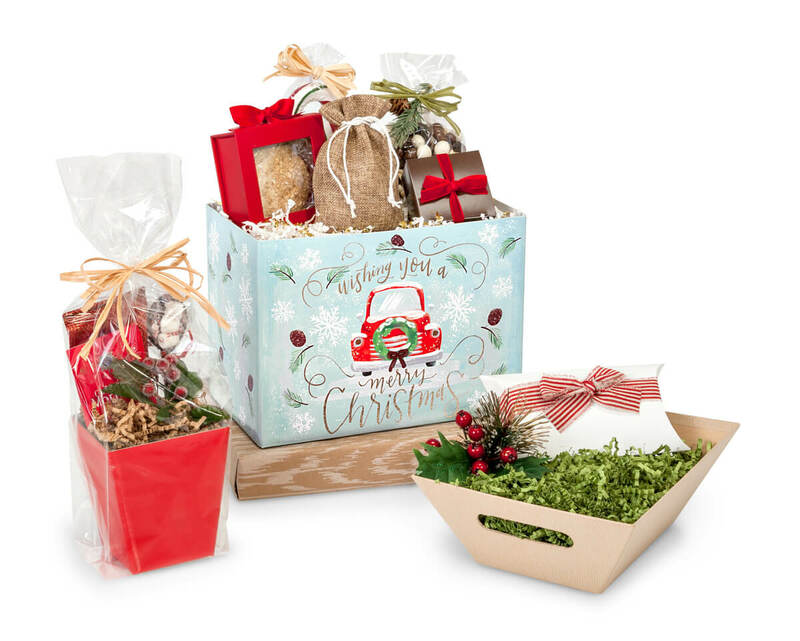 Basket Boxes – These themed gift basket containers feature some of our exclusively-designed collections like Holly Berry Cardinal and the super cute Christmas Wishes Truck. Just add shred, place your product, then pull it all together with a cello basket bag and a pretty bow. Market Trays – Browse our great selection of beveled containers. They come in solid colors or prints in various sizes and depths. Your customers will love the practicality of these reusable trays. Gift Basket Shred – Support your gourmet products while adding color and texture. Lots of options from Crinkle Shred to Excelsior Wood. Cello Basket Wrap – For crystal-clear cello that will make your gift baskets stand out, our Cellophane Basket Bags come in medium to extra-large sizes. 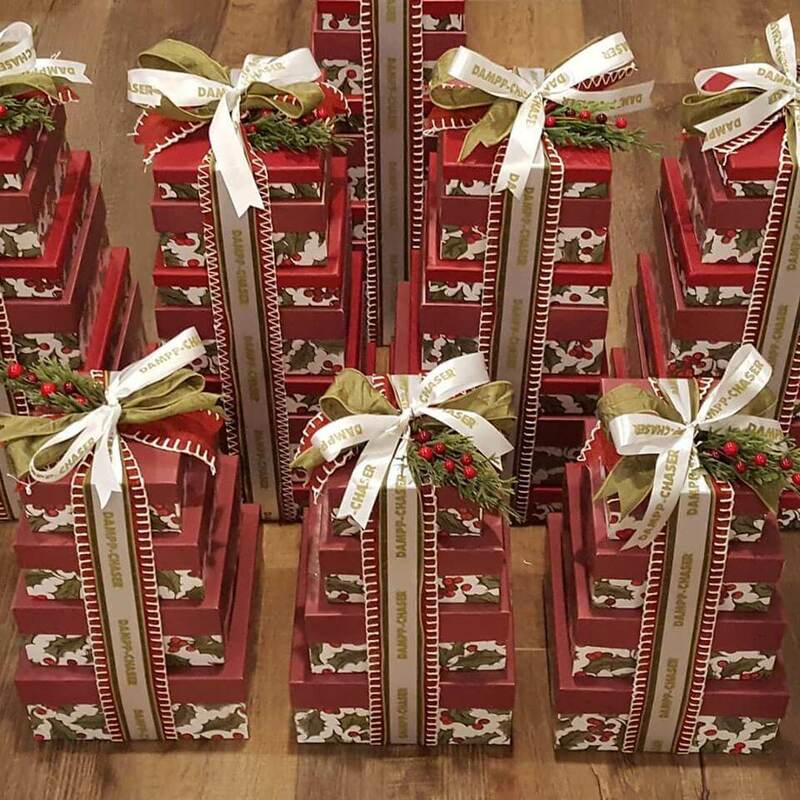 Another great option for wrapping your holiday gift baskets is our Christmas Cellophane Rolls printed with snowflakes, candy canes, ornaments and more! Pull Bows – When you have a busy gift basket business, pull bows are a great time saver at a great price. Simply pull the two long strings and in less than 3 seconds you have the perfect bow! Nested Gift Box Towers Make Stunning Presentations! Gift Baskets by Melissa near Asheville, NC always wows her customers with impressive gift towers. Who wouldn’t love a gift box tower like one of these during the holidays? Melissa uses Nashville Wraps nested boxes filled with her product. What makes her creations extra special is how she layers 3 types of ribbon to secure the boxes, from burlap ribbon to double faced satin. Corporate customers will love the addition of personalized ribbon to help promote their holiday gift with their brand. 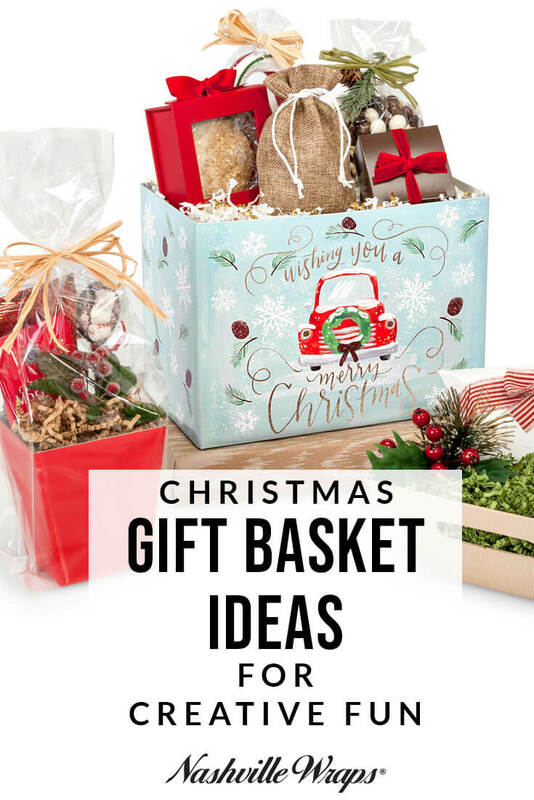 Shop hundreds of Wholesale Gift Basket Supplies for Christmas and every special occasion!